Displaying 5 pages of results for 50 properties. A large four bedroom family home located a short distance from the High Street in a popular residential location. Available 24th January 2019. A lovely three bed detached family home located within walking distance of Berkhamsted train station and town centre. Pets considered. 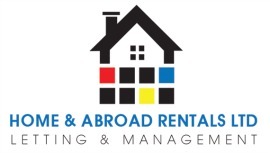 Managed by H&A Rentals. Available 22nd December. A nicely presented Victorian house in a highly sought after area of Berkhamsted close to the High Street. Gas Central Heating. No smokers. Pets considered. Available 15th December. A modern three bedroom house located on a popular development a short distance from the town. Neat rear garden. Gas Central Heating. Garage. Available 15th February. A stunning barn conversion with low maintenance garden and parking for two cars. Located a short drive from Berkhamsted with it shops and station. No pets. Available 15th February. A newly decorated split level apartment offering spacious accommodation, Situated on the High Street and within walking distance of shops and the station. No pets. Available 1st May. AVAILABLE FOR 6 MONTH RENTAL ONLY. A detached two bedroom bungalow with parking and a garden. Located just off of Berkhamsted High Street. Pets considered. Available now. A charming two bedroom terraced cottage with a courtyard garden and home office. Street parking. Pets considered. Available 15th May. A lovely first floor apartment overlooking communal gardens and fields beyond. The property has a modern kitchen, bathroom and neutral decor throughout. No pets. Available now.